A classic manual pourover brewer. 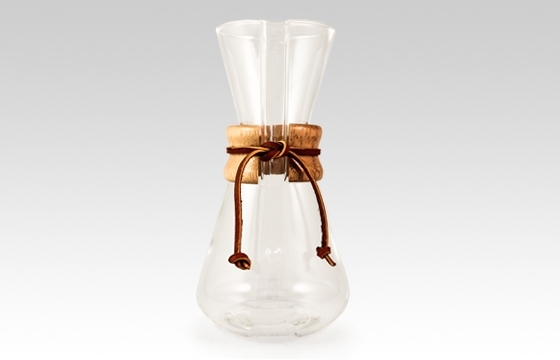 Chemex has been making their classic manual brewer since the 1940's! It is made of heat proof, laboratory grade, borosilicate glass with a polished wood insulating collar and leather tie. The wide mouth and hourglass shape allow for a controlled manual pourover. CM-1A three cup brewer brews up to approximately one pint or 16 ounces. Click here for our 3 cup Chemex recipe.